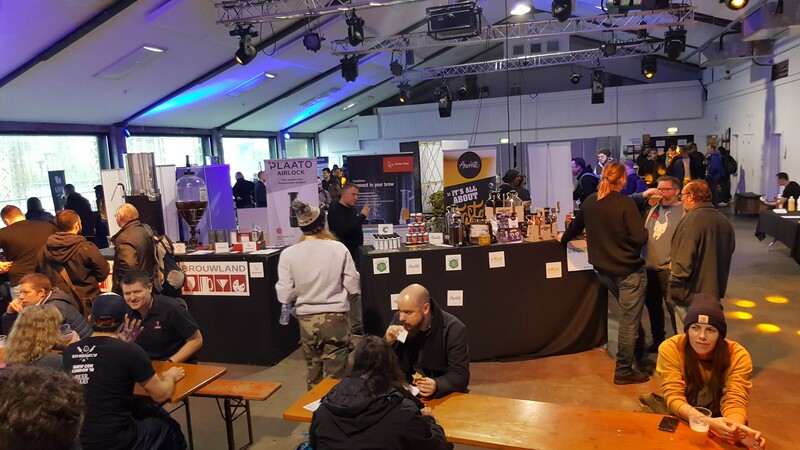 Brewcon 2018 took place at the end of November, and was universally held to be a resounding success, everyone I spoke to had an excellent time. The talks especially were interesting and well presented. The only complaint, I’d have thought, was that it was physically impossible to see everything you wanted to see, so many thanks to Sarah Pantry who was made many of them available on her Youtube channel. 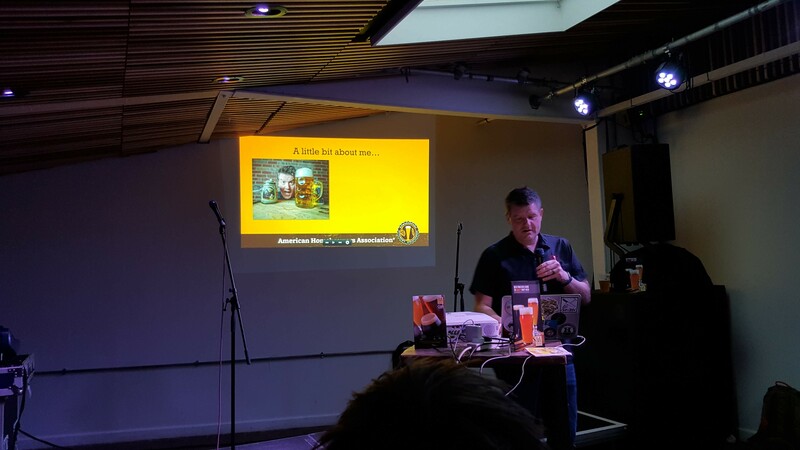 Club Night was the perfect end to a brilliant day, with so many excellent people sharing so much excellent beer. 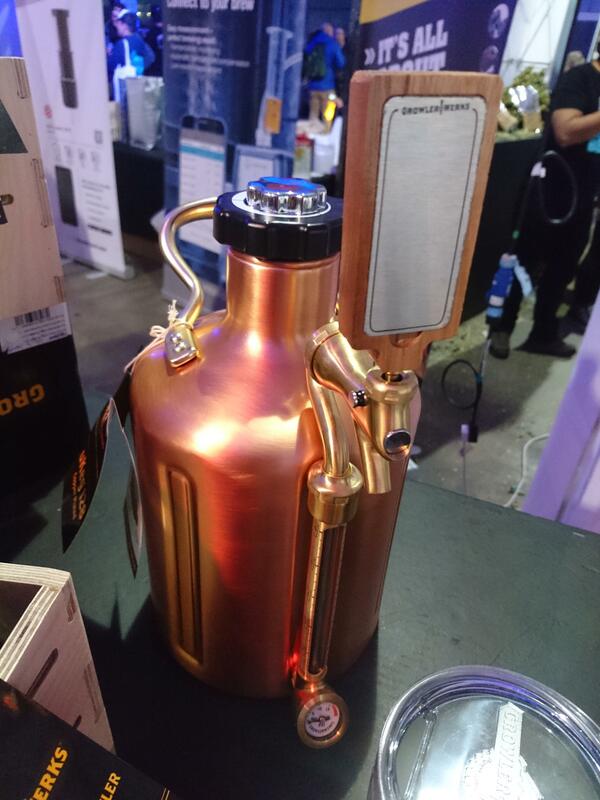 It was truly inspiring to see so many skilled homebrewers together; it’s a testament to the quality, vitality and depth of the homebrewing scene at the moment and I fervently hope we can get together again in the near future. Huge thanks and massive respect to Simon, of course, for organising the whole thing! We’re already looking forward to next year. No pressure! 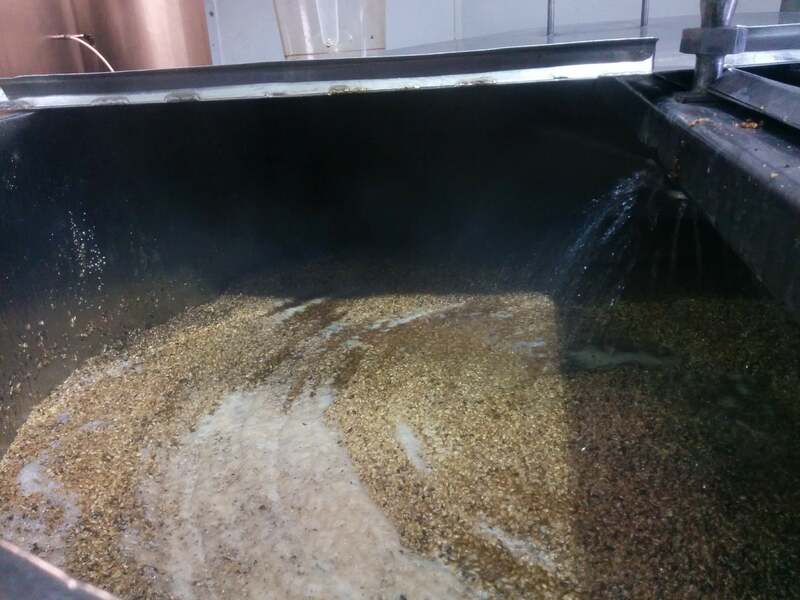 As part of the prize for winning the Dark Ale category in the OME x Draft House Homebrew competition, Mark Sanderson went to brew his Sweet Stout at One Mile End. A cracking day was had by all! 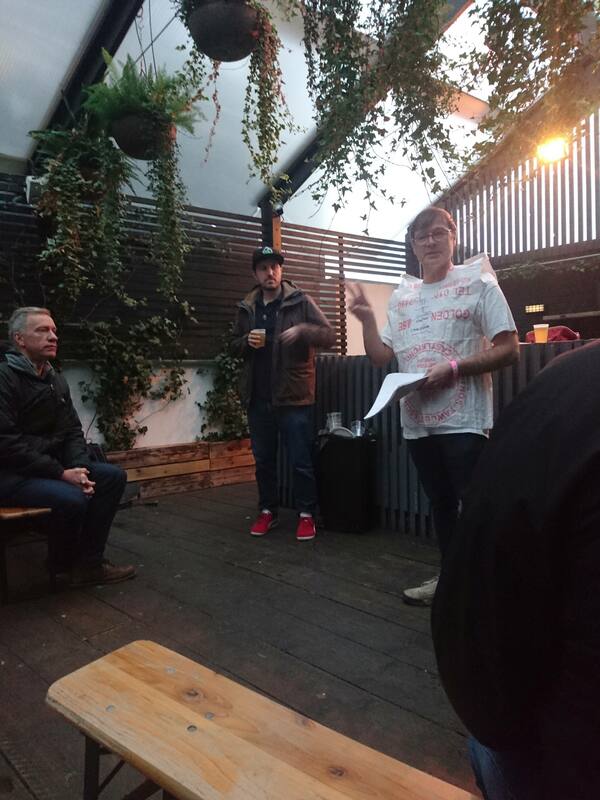 Thanks very much to One Mile End for their generosity and hospitality and, of course, for running the competition… make sure you get down to a Draft House and try a pint of Ol’ One Eye! LAB members are planning to run a series of comparative yeast trials, investigating the different properties of various kveik cultures. As interest in the fascinating Nordic kveik strains grows, we feel we can contribute to the increasing, but still sparse, body of knowledge on these exciting and expressive cultures. We also, sadly, recognised Richard Conroy‘s last meeting with the club before he moves. As well as being a tireless driver and promoter of club activities, Richard was, of course, my illustrious predecessor as Chair of LAB and I’d like to personally thank him for the huge amount of help and support he’s given me in the role…. Best of luck in the future! Our own Lager Than Life and the National Homebrew Competition are both now full at 110 and 400 entries respectively… if you’ve got entries, make sure you’ve paid for them! The Lager Than Life organising committee have bravely taken part in a thorough, extensive and highly detailed examination of Pillars Brewery, hosts of the competition, and were very impressed with the setup… looks like it should be a very nice competition with a frankly huge range of lagers entered. Look out for details closer to the time to see how you can come along and taste them all! 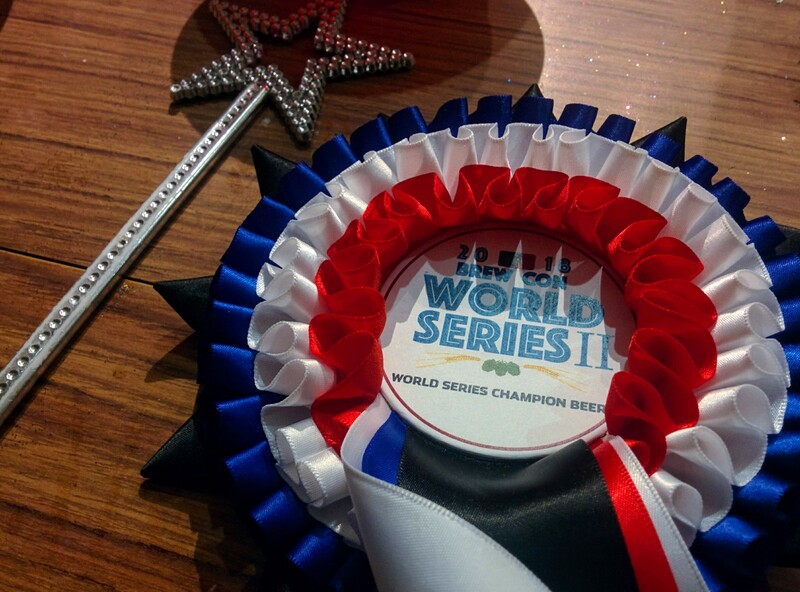 Brewcon also brought the club some impressive successes… enough, at least, to win the overall World Series Club Champions! An impressive achievement in a field of 37 other clubs, all fielding a remarkably high standard of entry. Overall, LAB members took home four first place rosettes, two second, and five third! 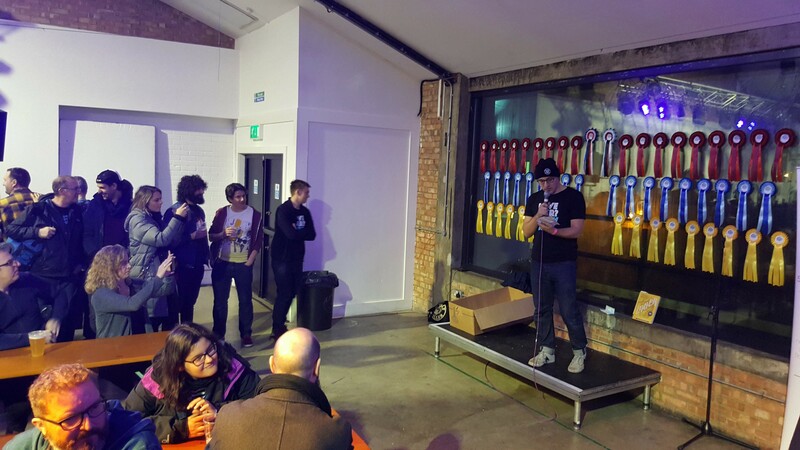 Of course, with that huge haul of prizes (literally winning with every single entered beer!) Fraser walked away with the Champion Brewer award, and now looks forward to an exciting collaboration with Cloudwater. At the time of writing, the Best of Show winners haven’t been posted on the website, but I think I recall doing alright there, so happy days all round! 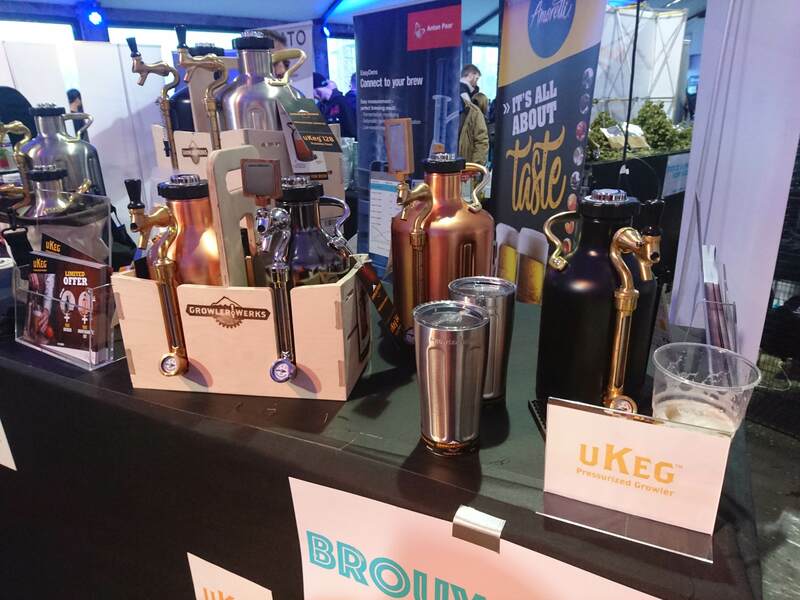 This month’s presentation was a quick look at portable kegging options from Richard Conroy, who has been extensively researching alternatives to bottles when full kegging equipment is either too heavy or takes up too much space. Richard’s spent a long time working off the rough edges and presented a very refined solution to a common problem, with some very pertinent tips and hints. Check the website soon for the full presentation. Smashing last month’s huge total of 14 beers, we had an astonishing 16 beers brought in for our annual Extreme Beers members’ tasting. Disappointingly, my call for extremely bad beers was not heeded and they were, almost without exception, extremely good. The overall favourite of the session was, by a narrow margin, a kveik-fermented Norwegian pale ale by Mathias Borjesson, on his very first LAB meeting! Congratulations, and we look forward to many more! 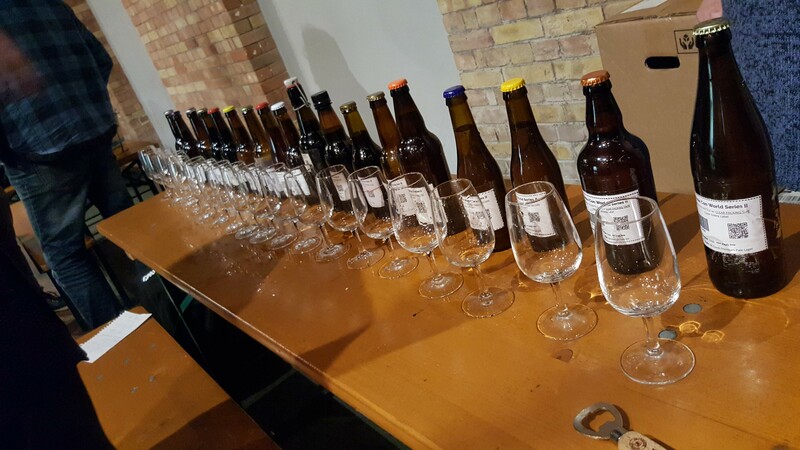 Due to the large number of samples (and, partly, the palate wrecking quality of many of them) there wasn’t the usual opportunity to analyse the beers in much depth, but there were a few notable examples. A parti-gyled dark ale, made from the second runnings of an imperial stout, that showed some interesting chocolate and nutty notes. This was boiled up on the stove and bittered with left over hops… practically a free beer! A very accomplished clone of Westvleteren 12 that needed some refinement in yeast pitching rate to make it truly great. Our first meeting of 2019 will be the start of a transient period for LAB, where we hold meetings in a number of different locations. This meeting will be held on Monday 7th January at Goose Island Brewpub on Shoreditch High Street at 1830. Apart from that, the meeting will be as usual, with a presentation and member’s tasting. Make sure you bring at least two litres if you can. See you there!